The Israeli Occupation Forces (IOF) stormed Friday evening the home of the Palestinian young man suspected of ramming his car into a group of Israeli soldiers stationed at Dotan military checkpoint near Jenin. Two Israeli soldiers were killed while two others were injured during the alleged attack. The suspect was identified as Alaa Rateb Qabaha from the village of Barta’a, to the west of Jenin. Qabaha was released from Israeli jails nearly 11 months ago after spending one year and a half behind bars. Qabaha was shot and injured by the soldiers just after the incident. He was then arrested and taken to an unknown place. Following the incident, Israeli soldiers raided and violently searched the home of the family of Qabaha in large numbers and interrogated members of his family. Violent clashes broke out during the raid after Israeli forces threatened to demolish Qabaha’s family house. Meanwhile, the Israeli soldiers shut down Dotan checkpoint to the Palestinian traffic just after the incident, and closed the southern and eastern entrances of the town. Israeli Magistrate Court of Jerusalem on Thursday considered a lawsuit filed by Jewish settlers against the family of the Palestinian Saleh Edyab in Sheikh Jarrah neighborhood in Occupied Jerusalem. The court decided to hold a hearing session on the matter on March 19. 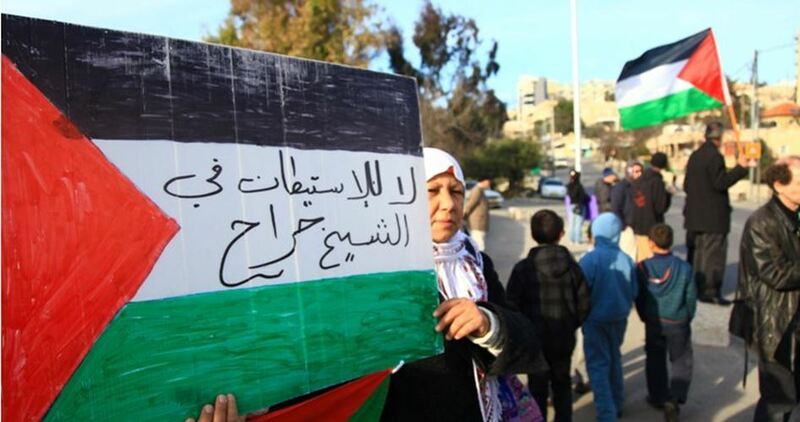 The settlers claim that they own the land over which more than 28 Palestinian homes are constructed in Sheikh Jarrah. The lawyer of these families, Sami Ershaid, told the PIC reporter that the Palestinian families own the land as provided for in the agreement signed between the Jordanian Government and UNRWA in 1956. Israeli bulldozers on Wednesday demolished a number of residential and commercial facilities in Occupied Jerusalem under the pretext of being unlicensed. 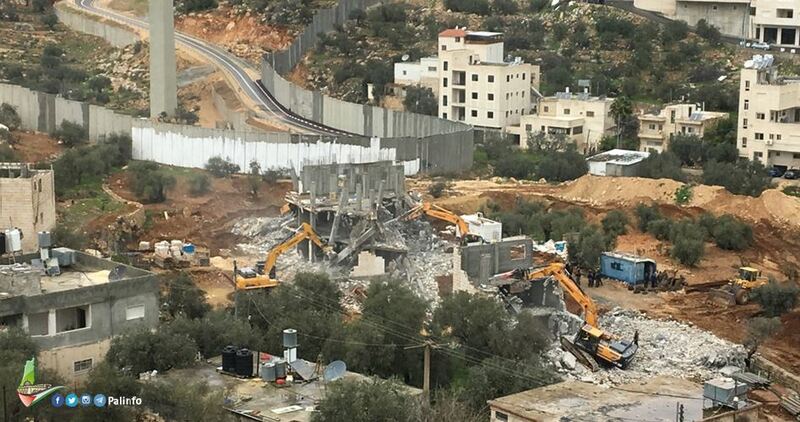 Rami Abu Tarboush told Quds Press that Israeli bulldozers, accompanied by police forces and crews from the Jerusalem municipality, demolished his family house, which was built before 1964, in addition to four caravans and a stall owned by his family. Abu Tarboush affirmed that he did not receive a prior warning and was surprised by the Israeli crews storming the area and ordering his family to evacuate the house. The Land Research Center in Jerusalem said in statistics published recently that the Israeli occupation since 1967 has demolished 5,000 Palestinian homes in Jerusalem. The report revealed that Israel did not only destroy 39 villages in Jerusalem and displace about 198,000 residents in 1948, but it also continued its demolition operations in 1967 under various pretexts. According to the Center, the Israeli occupation demolished 1,706 homes between 2000 and 2017 displacing 9,422 Palestinians, 5,443 of whom were children. It pointed out that about 67,500 Jerusalemites were expelled from Jerusalem before the 1948 war and 30,000 after the war, while 16,000 Jews were settled in the empty Arab houses in the city between September 1948 and August 1949. During the 1967 war, the Center added, about 70,000 Jerusalemites were deported from Jerusalem, including those who were outside the city and were prevented from returning after the war ended in addition to 50,000 residents who left the city after the war for different reasons. 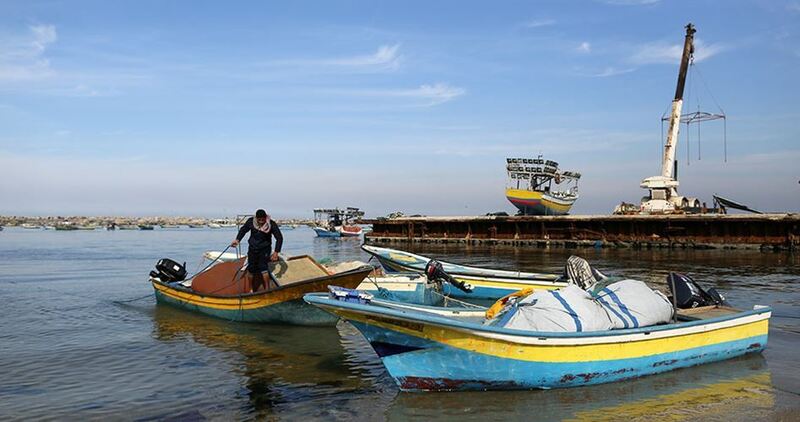 The report underlined that following the establishment of the apartheid wall in the West Bank, the Israeli-controlled Jerusalem municipality has prevented Palestinian citizens from building hundreds of new homes, knocked down dozens others and caused major damages to the environment. The Land Research Center said that the Palestinians of Jerusalem need 2,000 housing units annually, noting that 380,000 Jerusalemites, who constitute half of the holy city's population, live in unauthorized homes because Israel prevents Jerusalem residents from using 88% of their lands. 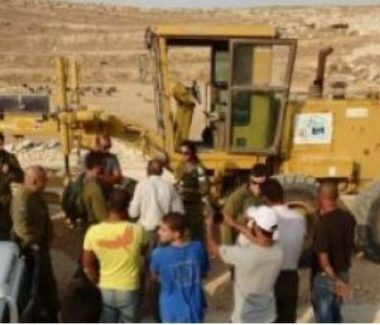 Israeli occupation forces (IOF) on Wednesday handed over a confiscation order that stipulates the grab of several dunums of Bourin town's lands south of Nablus city for security reasons, particularly preventing throwing of stones at settlers on the road adjacent to Yitzhar nearby settlement. 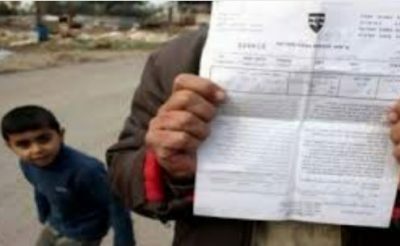 Head of the town’s local council, Yahya Qadous, told the PIC reporter that the lots to be confiscated include eight dunums of a secondary school property with 2 dunums of which had already been seized at a previous time by the IOF. 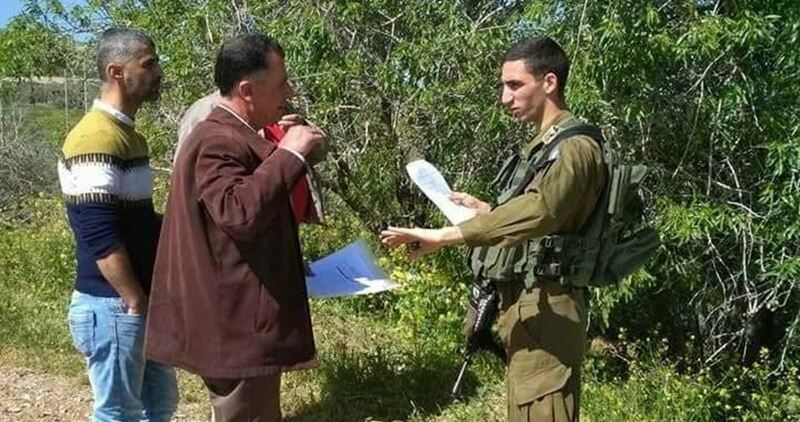 He added that IOF troops handed over a confiscation notice of seven dunums of the town’s land to his deputy who refused to receive it from the soldiers one week ago. The Israeli President Reuven Rivlin has called for annexing every part of the occupied West Bank and rejecting initiatives that would see Israel apply its sovereignty only to parts of the territory. 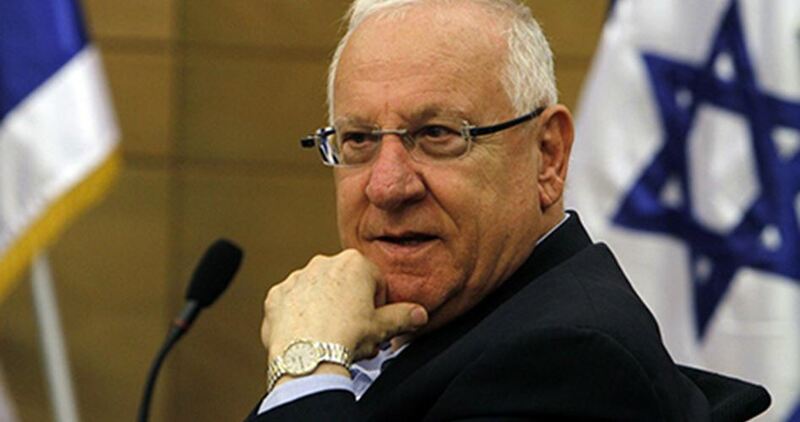 In a speech at a conference in Occupied Jerusalem organized by the Israel Democracy Institute, Rivlin said: “There is room to examine the application of the Israeli law and sovereignty over Judea and Samaria”, using the biblical term for the West Bank. A longtime proponent of annexing Palestinian lands in the West Bank, the Israeli President further claimed that it is a mistake to think that Israeli law can be applied only to parts of the West Bank. Rivlin also called for propping up Judaization schemes and Israeli control over the occupied Palestinian territories as a means to boost Israel’s “Jewish” and “democratic” character. Israeli soldiers invaded on Tuesday the town of Qabatia, south of Jenin, and poured concrete into the room of detainee Yousef Khaled Kamil. The family said that the soldiers surrounded their property, and poured the concrete into their detained son’s room in their family home. Yousef is imprisoned by Israel for allegedly killing an Israeli last year in Kafr Qassem. 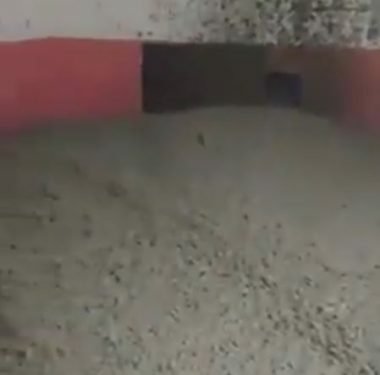 Instead, they filled a room in the building with concrete, which will render the apartment building structurally unsound, and inevitably cause it to collapse. During the invasion, the soldiers attacked Palestinian protesters and fired rubber-coated steel bullets, gas bombs and concussion grenades, in addition to invading homes and occupying their rooftops. Israeli authorities have a policy of attacking the family home of any Palestinian they have taken into custody on suspicion of harming an Israeli. Instead of holding a trial and sentencing the alleged assailant, the Palestinian who stands accused of a crime against an Israeli must face a military tribunal with no access to adequate legal counsel, as the Palestinian Territories are under Israeli martial law, and have been since 1967. In addition to charging the accused under a military tribunal, the Israeli authorities also send troops to demolish the family home of any Palestinian who is accused of a crime against Israelis. This is the only place on earth that engages in this type of practice, which is classified as ‘collective punishment’ and a ‘war crime’ under the Fourth Geneva Convention. According to the Israeli Committee Against Home Demolitions, in 2017 alone, 351 structures were demolished by Israeli forces, rendering 528 Palestinians homeless. The Israeli organization has noted that 48,743 structures have been demolished by Israeli forces since 1967. Israeli settlers on Monday burned down 30 dunums of cultivated Palestinian land lots in al-Khalil’s southern town of Yatta. 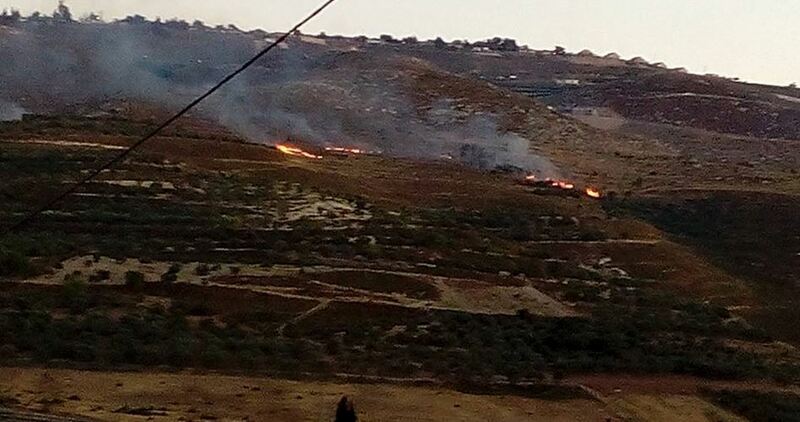 Coordinator for the popular anti-settlement committee south of al-Khalil, Rateb Jabour, said Israelis residing in Ma’on illegal settlement outpost set fire to Palestinian crops in the nearby Khilet al-Adra area. 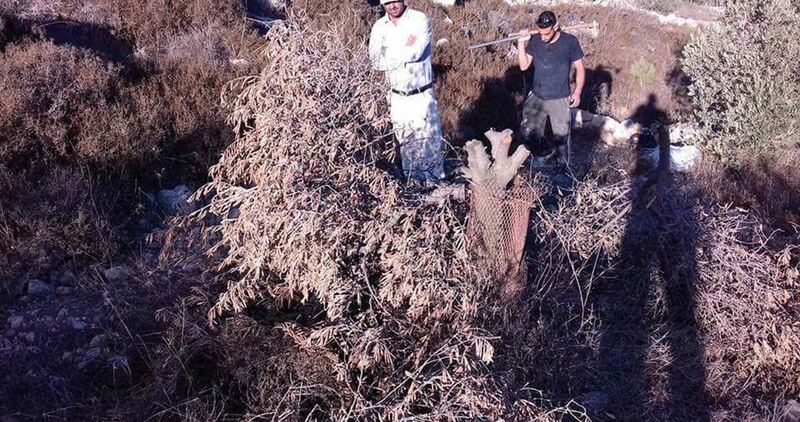 The destroyed crops reportedly belong to the Shawaheen family and are annually used by local Palestinian farmers and shepherds to feed their livestock during winter season. Meanwhile, Israeli occupation forces photographed Palestinian homes and tents in Sosiya, in Yatta. Palestinian farmers from Salfit province have raised alarm bells over the repercussions of Israel’s settlement activity and settler break-ins into Salfit’s natural sites and reserves. Researcher Khaled Maali said Israeli settlers have been ransacking natural sites in Salfit, among other areas in the occupied West Bank, and placing Hebrew-speaking banners to mislead visitors about the history of the sites. 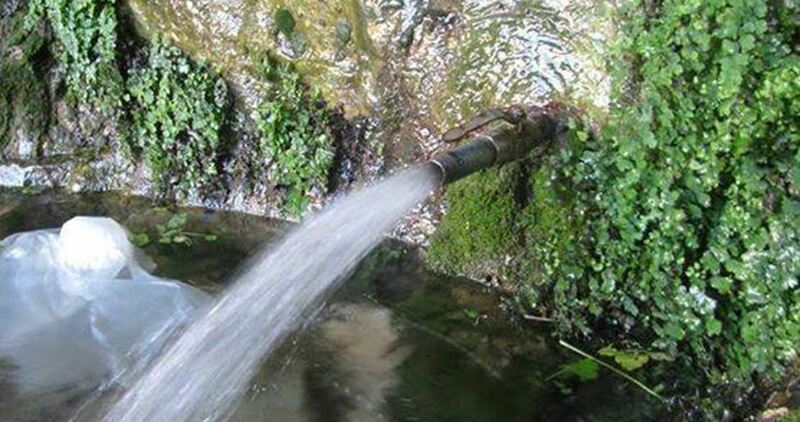 Israeli settlers have also been swimming in Salfit’s spring waters, of which they claim ownership, and attending lectures on their alleged Israeli history. Maali and the Palestinian locals stressed the need to rehabilitate such natural sites, particularly water springs and resources located near Israeli settlement outposts and in the Israeli-occupied Area C, and to intensify the presence of Palestinian students and visitors in the area so as to protect such a resourceful natural legacy and enlarge the younger generations’ knowledge about their natural heritage. 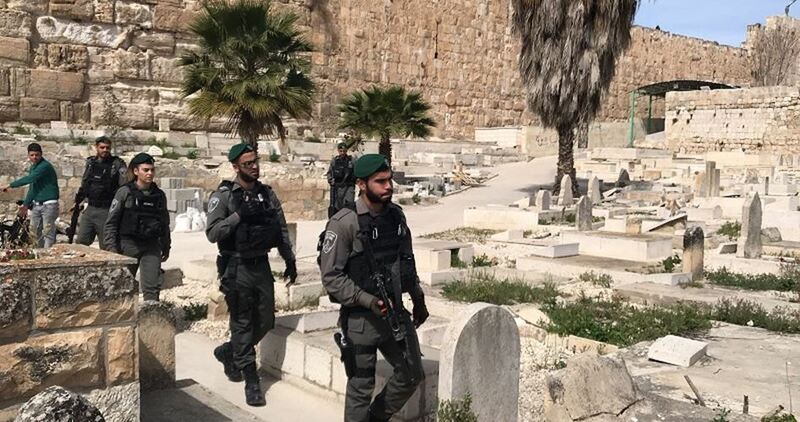 Israeli police forces stormed Monday morning al-Mujahidin cemetery in occupied Jerusalem and vandalized the graves of Palestinian martyrs, the PIC field reporter said. Several Palestinian gravestones at the cemetery were found desecrated early today, according to our reporter. 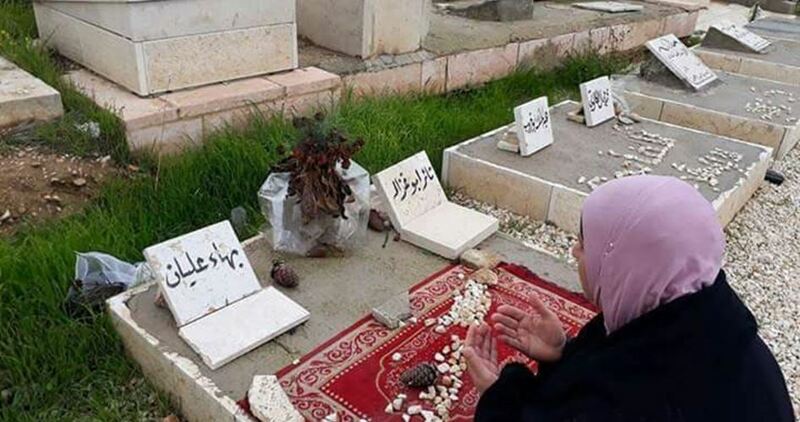 Earlier Sunday, an Israeli police officer was seen filming a number of graves at the cemetery belonging to the martyrs Abdul Malik Abu Kharoub, Thaer Abu Ghazala, Baha' Alian, Mohammed Abu Khalaf, Abdul Mohsen Hassouna and Mohammed Jamal Al Kalouti. The attack came as part of Israeli attempts to prevent any sort of glorifying resistance fighters. 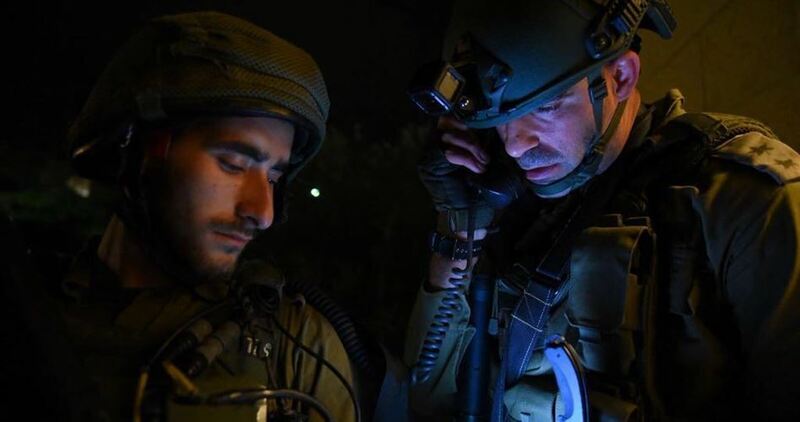 The Israeli occupation forces (IOF) at dawn Monday arrested a number of Palestinians in raids and sweeps launched in different West Bank provinces. Thousands of shekels were confiscated during the raids under the pretext that they belong to Hamas. The Israeli army said in a statement that its forces arrested 16 Palestinians for allegedly being involved in popular resistance activities against Israeli soldiers and settlers. 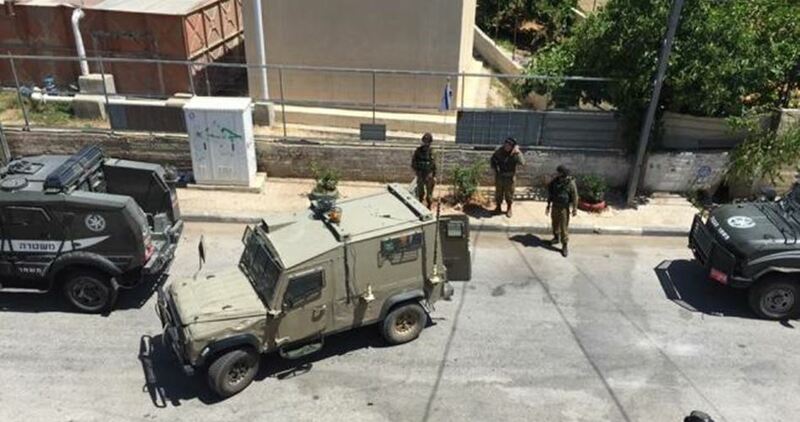 Local sources in Jerusalem reported that the Israeli forces stormed al-Isawiya town east of the city, raided a number of houses and kidnapped 10 Palestinian youths. 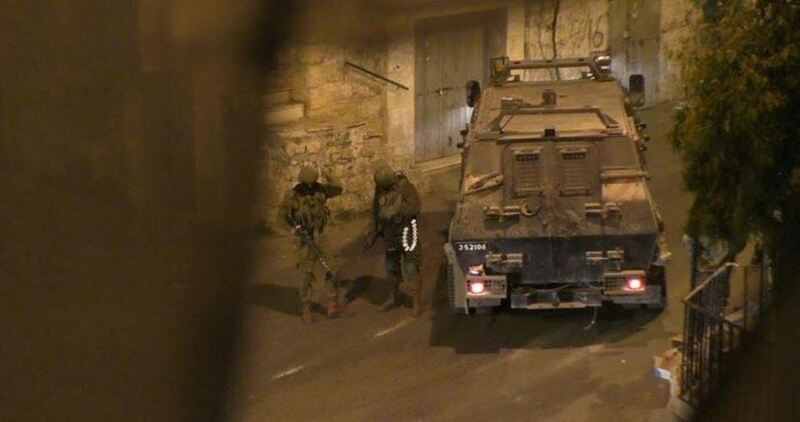 The IOF arrested two Palestinian young men in Anabta town east of Tulkarem after searching their houses. Local sources told the PIC reporter that the IOF broke into the houses of Hisham Fuqaha and Diaa Fuqaha, arrested them and transferred them to an unknown destination. Meanwhile in Qalqilya, the PIC reporter said, quoting sources, that dozens of IOF soldiers raided the city, searched Palestinian houses, and arrested seven citizens. The IOF launched another campaign in al-Khalil, arrested six Palestinians in Yatta, Halhul and Beit Ummar and seized a sum of money from Palestinian houses while searching them. 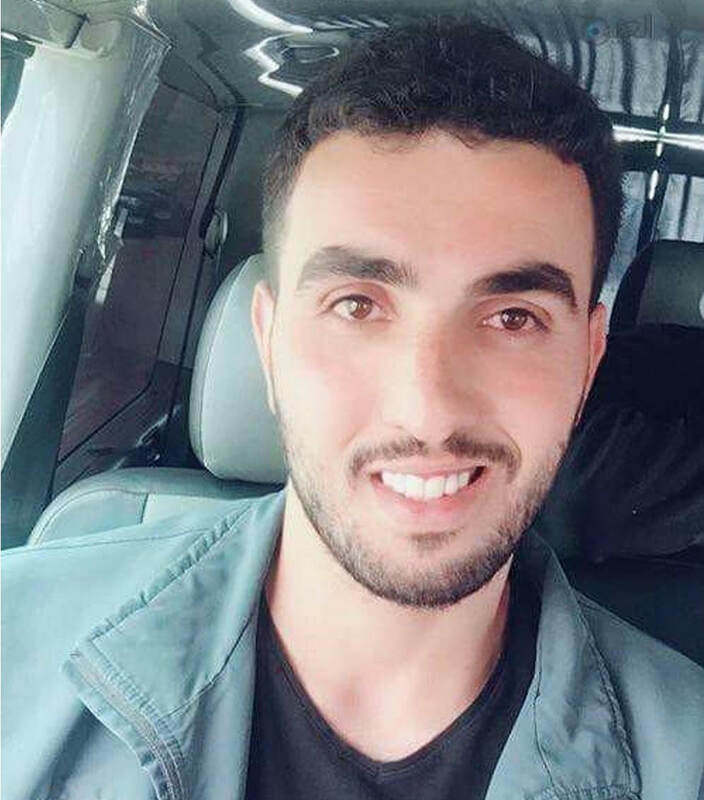 The IOF handed a Palestinian youth from Tuqu' town southeast of Bethlehem city a summons to appear before the Israeli intelligence for interrogation at Gush Etzion detention center. An Israeli settler driving at high speed hit a Palestinian boy afternoon Sunday and fled the scene. 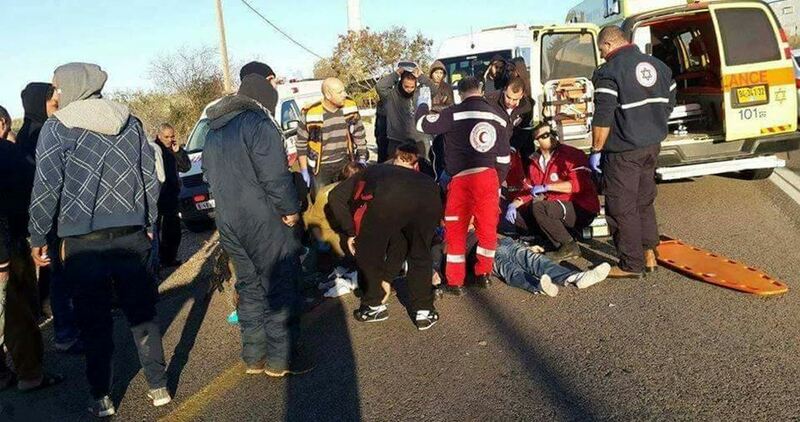 According to local sources, an Israeli settler who was driving at high speed rammed his car into a Palestinian youth and fled right away, leaving the boy bleeding on the ground. Israeli forces said a probe was launched to investigate the hit-and-run incident. The youngster, aged 17, sustained injuries in his head and was evacuated by local medics to the Palestine Medical Complex in Ramallah, his family said. Another Palestinian young man sustained wounds after dozens of Israelis residing in Yitzhar illegal settlement assaulted Palestinian lands in Nablus’s southern town of Madama and uprooted olive trees. Heavily-armed Israeli patrols showed up in the area and targeted the Palestinian locals with heavy spates of bullet fire and teargas canisters. A young man reportedly sustained injuries in his feet after Israeli settlers beat him using an iron bar. He was transferred to Rafidia Hospital for treatment. 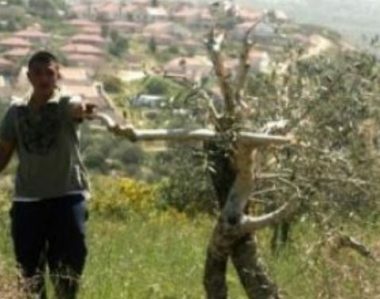 A group of Israeli settlers destroyed olive trees in a Palestinian land in Burin town south of Nablus city. The Palestinian farmer Mohammed Zaben told the PIC reporter that settlers from the illegal settlement of Yitzhar had cut down 15 olive trees in his land located near a settlement road south of the town. Zaben said that he was able to reach his land on Saturday for the first time since November 2017 after obtaining a prior permit from the Israeli occupation authorities and he was shocked seeing his trees destroyed. The Israeli occupation forces (IOF) at dawn Saturday stormed the eastern area of Nablus city and confiscated security cameras of several businesses there and also patrolled the vicinity of the old district and the eastern cemetery in the city. Local sources reported seeing Israeli military patrols on streets in the eastern area of Nablus, adding that soldiers removed some security cameras of commercial stores. The IOF stormed the same area last Thursday night and confiscated security camera recordings as part of a large-scale manhunt for young men accused of opening fire at the Huwara checkpoint two days ago. The IOF also stormed at dawn today the vicinity of the Old City of Nablus, and searched the Danish park, the western cemetery, the area around the eastern cemetery and Faisal street. According to eyewitnesses, an Israeli drone was overflying the area during the IOF campaign in Nablus.